On National Cheese Lover’s Day we celebrate the versatile and delicious tastes of cheese. 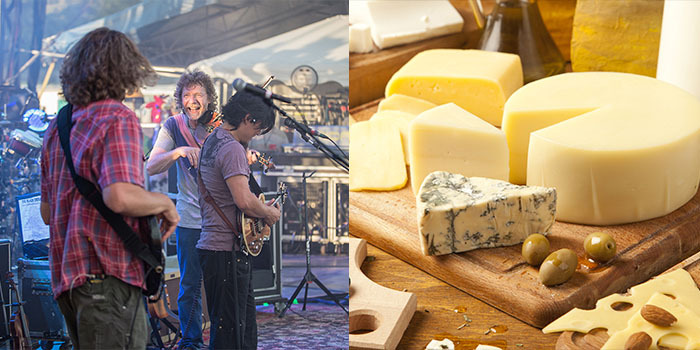 From sharpness to gooeyness, cheese is suited for everyone; it can never make us bleu – just like our friends The String Cheese Incident! We love the full-flavored jams that they produce and the community that follows their delicious cheesiness. Here’s some reasons why we love Cheese! Cheese is one of the most diverse tastes to exist. From sharp to sweet, to buttery to earthy, cheese produces flavor for the entire spectrum of preferred taste. 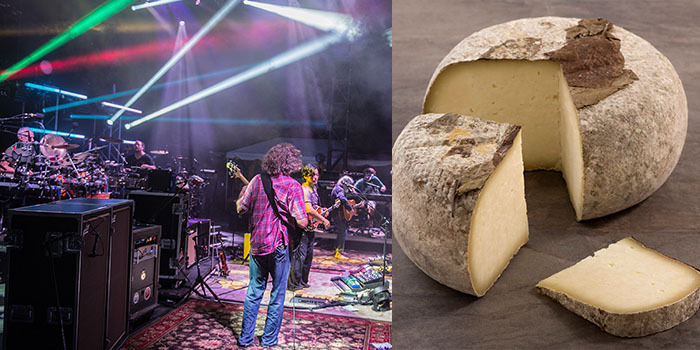 Cheese also presents their lovers with the multiple aromas of bluegrass, rock, psychedelia, funk, and jazz! Audiences go from swaying, to full-on dancing, to stomping their feet like there’s no tomorrow. The cheesiness is so diverse that anyone will enjoy their flavorsome jams! All cheese lovers can relate to the heavenly feeling of consuming cheese! Studies have shown that eating cheese produces dopamine, which is the chemical that make us happy. 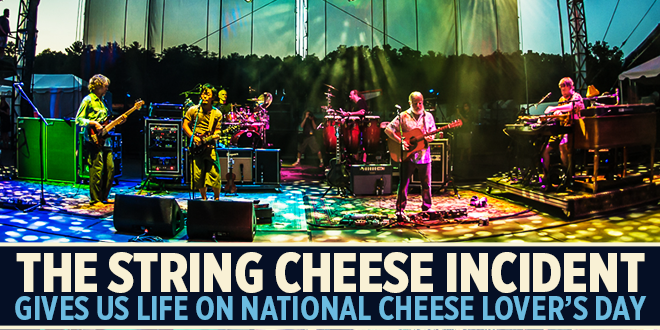 And while this may seem cheesy – how grate does The String Cheese Incident make us feel!? Music releases dopamine, the feel good chemical; it is no wonder why we can’t help but gorge ourselves on the euphoric sounds of Cheese. We’re very grateful to be part of such a large and friendly community. Everyone knows how to have a gouda time! In this gooey community everyone shares their common love for String Cheese and we never dis-a-brie with one another. It’s impossible to be mad at one another while listening to Cheese shred. While we love cheese alone, it also goes along feta well with wine! Brie with Chardonnay, Gouda and Merlot, or Mozzarella with Sauvignon Blanc – cheese adores mingling with others! 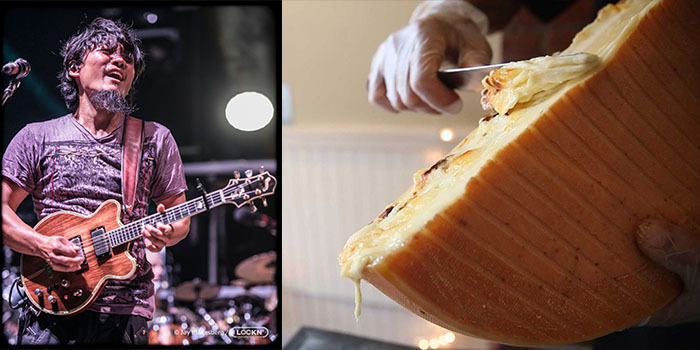 Meanwhile, String Cheese pairs well with anyone and knows how to adjust when onstage jamming with others. 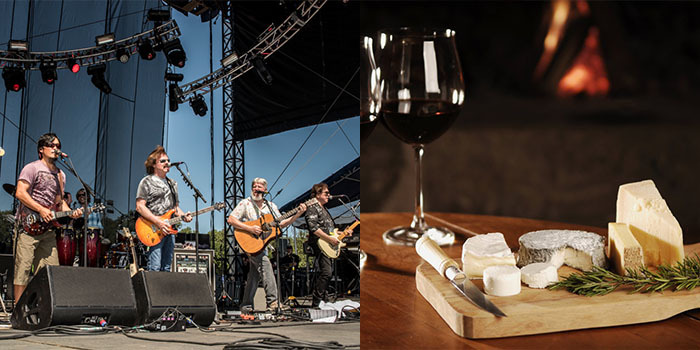 One of our favorite pairings was with The Doobie Brothers at LOCKN’ 2015 to create a playful taste of The Doobie Incident! Cheese lovers can relate that eating a piece of cheese can make a bad day melt away, especially if it’s your favorite type. Cheese is considered one of the top comfort foods and it changes us from feeling bleu to feeling cheddar! 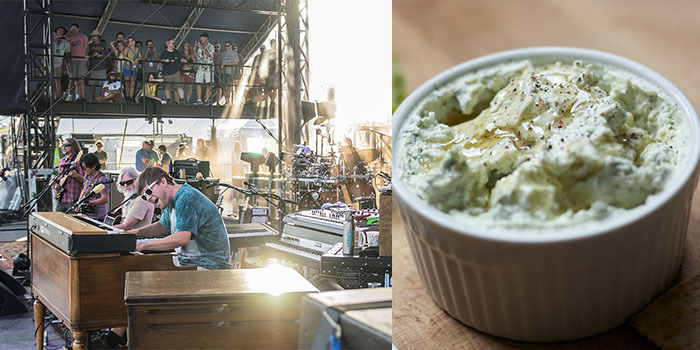 Listening to The String Cheese Incident turns our frowns into the biggest cheesy smiles. Their cheerful and good-natured music makes our hearts full. Thank Cheesus! At social gatherings, cheese platters always boost connectivity. 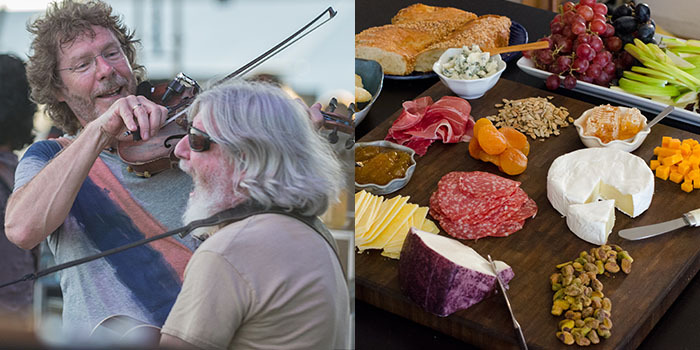 Whether it’s arguing which is the best, or appreciating the sweet and savory flavors together, cheese tasting is always a fun activity, especially when complemented with the percussion, piano, mandolin, acoustic guitar, bass guitar, and drums. 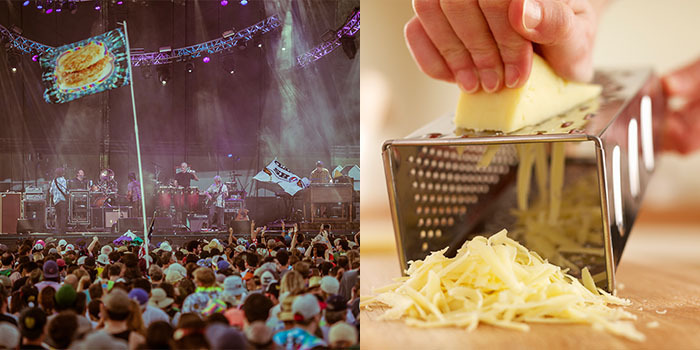 We don’t need anyone’s parmesan to enjoy The String Cheese Incident and have fun! While cheese can be mixed or topped on everything, alone it has great health benefits! It is high in calcium which promotes strength in bones. String Cheese performances promotes gouda health as well – exercising from all the dancing and stretching out our face muscles from cheesing so hard! The making and aging of cheese is truly an art form that has existed for several thousand years. As most will agree, cheese only gets better with age. 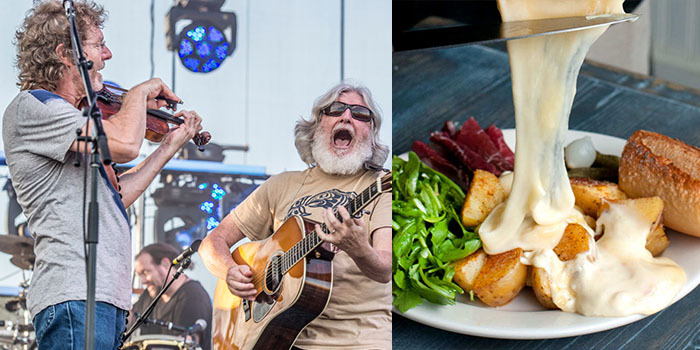 Existing since 1993, The String Cheese Incident has matured and grown with fans. Constantly performing original works while also introducing fresh and new tunes – their cheddar sharp creativity never gets old! Good quality cheese is unbeatable, and is one of the finer things in life. Whether it is sharp, creamy, grassy, or silky, Cheese hits us with it’s high quality flavoring. Transition perfectly between songs and carrying the energy of the audience to create a full Round The Wheel mind-blowing experience! Cheese addiction is very real, that’s why there is a dedicated day to cheese lovers. The way it tastes and makes us feel is unlike any other, the diverse flavors have us craving for more. 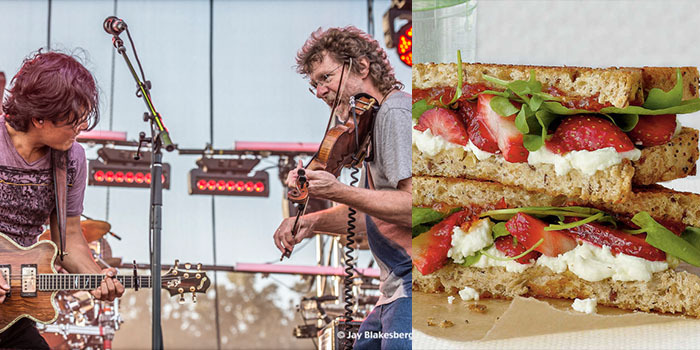 The String Cheese Incident is no exception, they are just as pleasantly hooking! Their perfect artistry has people obsessed from all over the country. 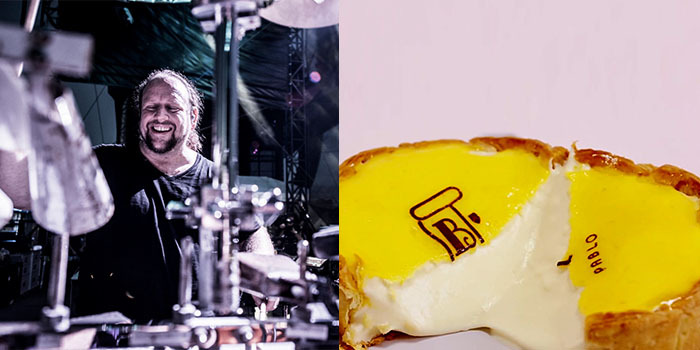 It’s impossible to resist their sharp and melty music and not cheese out.